We’ve been making these muffins pretty much every weekend since I included them in Fern’s Food more than ten years ago.These are known as Margo muffins around here – after the family friend who provided the original recipe. The fruit varies with what’s in the house. Banana walnut with a slug of maple syrup is good, as is grated apple and cinnamon, chopped pear and ground ginger, or even a couple of handfuls of raisins. We make a serious dent in them the morning they’re baked, then add any that are left over to packed lunches over the week. Preheat the oven to 375°F. Line a twelve-hole muffin pan with paper or silicone liners (or grease and dust with flour). Combine the All Bran and yogurt in a large bowl. Set aside for a few minutes to allow the All Bran to soften. In a small bowl, stir together the brown sugar, vegetable oil, egg and vanilla. Mix well, then add to the bran mixture. Sift together the flour, baking powder, baking soda and salt. Stir half into the wet ingredients, fold in the fruit, then add the rest of the flour mixture. Distribute the batter evenly across the twelve muffin cups. Bake for 20 minutes or until an inserted skewer comes out clean. what can I say? Even I still make them regularly. A classic recipe for sure! 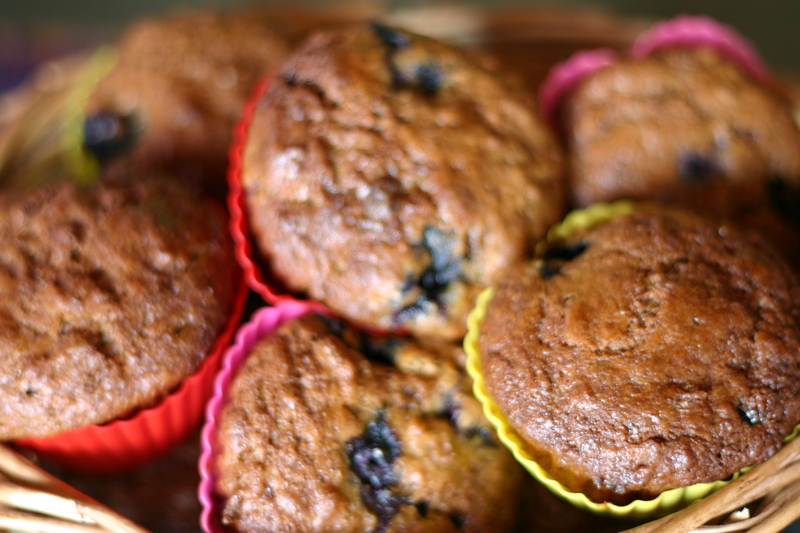 Just tried a variation of these muffins that you sent Adam to the office with today! AMAZING. Thanks Andrea! You are most welcome, Shayla – glad you enjoyed it!